In an exclusive interview with ET Auto, Hyundai India's director of sales affirmed that the company's prime USP would be extensive dash of technology in its cars going forward. Hyundai has been one of the biggest automakers in the Indian car industry. While most car buyers have followed Hyundai based on affordability, increased ease of ownership and maintenance and driving comforts, much of its latest push behind cars is on the technology front. For instance, its latest cars like the Hyundai Elantra and the facelifted 2017 Grand i10 offer increasing technology like ever before. Its older cars, the Hyundai i20 Elite and the Creta have also received significant updates with the new AVN variants, providing a complete overall technology package in the cars. Looking forward, it is this and a lot more of technology that Hyundai aims to include in its cars in future. In an interview with ET Auto, Rakesh Srivastava, Director of Sales and Marketing at Hyundai India, affirmed the same, alongside pledging to introduce more technology than just the in-car infotainment services. In tandem with discussing a number of pertinent questions for car technology, Srivastava also spoke about Hyundai’s focus on hybrid and mild hybrid driving, alongside introducing a sustainable framework for electric vehicles and automatic gearboxes in its compact hatchbacks. While specific model details were not revealed, Hyundai seems in line for launching eight new cars in India by 2020. India is incidentally one of Hyundai’s prime markets, with the company recording second-highest number of units sold behind Maruti Suzuki and registering a year-on-year rise for the month of February in 2017. The Korean carmaker has targeted cumulative sales (including domestic and exports) of 6,72,000 units in CY 2017, and its manufacturing plant in Chennai is capable of churning out 7,00,000 units in one calendar year. The Hyundai Grand i10 - soon to become smarter? 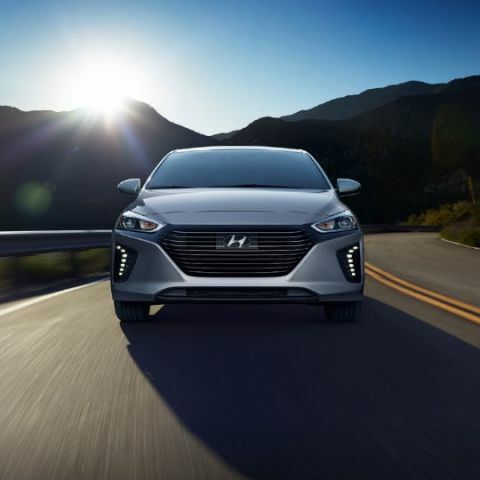 According to latest affirmations, Hyundai will focus on in-car technology on all of its upcoming cars to differentiate itself, and as Srivastava puts it, the company is pushing to achieve sales of 1 million units annually, by 2021. Hyundai’s latest cars have differentiating elements in their respective classes, like cooled seats, Android Auto, Apple CarPlay and integrated satellite navigation on the Hyundai Elantra, and a similar infotainment suite and DRLs on the new Grand i10. With its upcoming cars, Hyundai also plans to introduce fully hybrid and mild hybrid drivetrains to rival the likes of Maruti Suzuki and Toyota. The new cars will range across compact, sedan and SUV categories. The Toyota Camry Hybrid is the most affordable hybrid car in the country right now, closely followed by the new Prius, and then the Honda Accord Hybrid, which costs significantly more by virtue of being a CBU. It is this segment that Hyundai may attempt to target, introducing a hybrid drive car loaded with end-user-accessible technology like 3D satellite navigation units, improved in-car AV based on its present infotainment platform, and pricing it competitively. Hyundai India also holds the distinction of being the third highest contributor to Hyundai’s global sales, which also gives ground for Hyundai to make the car in India and avail taxation benefits on the pricing of an India-assembled hybrid vehicle. Maruti Suzuki, meanwhile, has cashed in on the mild hybrid drive benefits, introducing the Smart Hybrid Vehicle System (SHVS) to increase fuel efficiency and provide better power optimisation. Cars like the Maruti Ciaz and Ertiga have differentiated themselves with SHVS variants, and Hyundai may also enjoy a similar run of form with mild hybrid versions of its compact offerings like Grand i10, Xcent and others. 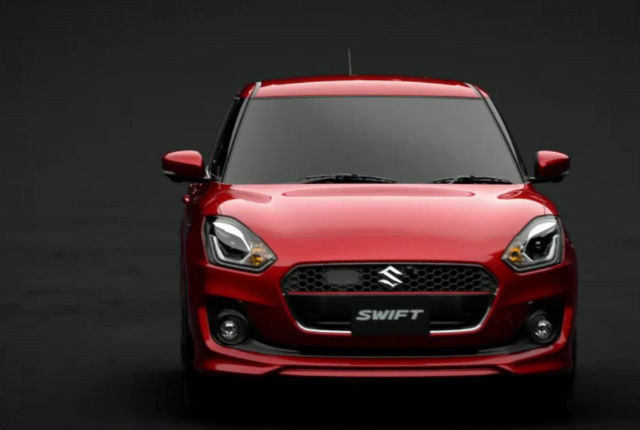 This can also make for an interesting market distribution, as Maruti has been said to have plans for introducing a mild hybrid version of its new Swift in 2018. While mild hybrid systems are not as efficient and clean as full-fledged hybrid cars, they still use regenerative power stored while braking to take the load off engines and provide effectively higher mileage. They also save on emissions and fuel with automatic start/stop systems, and all of this makes these cars significantly cleaner and more efficient. Hyundai is also focusing on electric vehicles going forward, and Srivastava has talked about the importance of simultaneously setting up an electric charging framework across India over the next few years. The need for establishing the electric vehicle charging framework has been previously discussed when Tesla CEO Elon Musk briefly mentioned of his plans to introduce the company’s uber-futuristic cars in India. The government is reportedly involved in looking into the specifics of such an infrastructure, and talks/arrangements of electric charging networks can certainly encourage wider sales and awareness of electric cars in the country. Being an early mover can be a major boon for Hyundai. Indian automaker Tata Motors is looking to enter the commercial segment of electric vehicles by unveiling a production-ready prototype of an electric commuter bus, the Starbus Electric. Electric cars in India include Mahindra’s range of e2o and e-Verito in India, but none of them have really experienced significant upsurge of sales. The ground is reasonably empty, and the Korean giant has the expertise to include sophisticated technology in its cars. In terms of AMT transmissions, more car buyers are showing inclinations toward inexpensive automatic transmission vehicles in face of rising city traffic by the day. As a result, Hyundai’s word of looking at more cars featuring AMT variants may fare well for its increasing customer base. 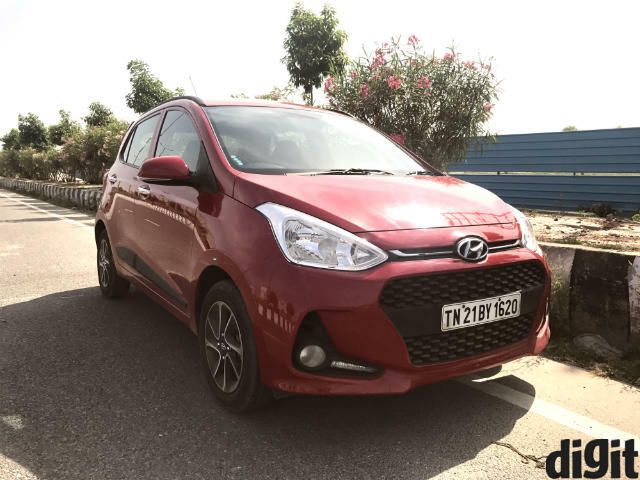 The likes of Hyundai Grand i10 and Xcent may particularly benefit from AMT gearboxes, seeing that the likes of Tata Tiago, etc have gone ahead and unveiled AMT variants to appeal to the increasing customer demand for automatic transmissions. In line with all of Hyundai’s present future-oriented plans, the company will also reportedly bring the Hyundai Ioniq to India by 2018. Confirmed to be present at the 2018 New Delhi Auto Expo, the Hyundai Ioniq will be a tech-laden car to be offered in hybrid and electric trims, along with a host of gizmos inside. 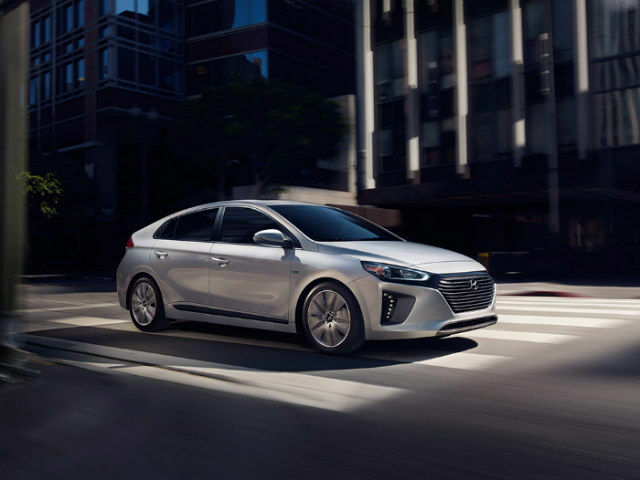 The new Hyundai Ioniq reportedly offers better on-road fuel efficiency than the Prius, house two LCD displays inside to relay information, and a lot more. Expect more information as more launches approach later this year. 2018 Hyundai Ioniq - heading to India next year! Hyundai’s big bet is to play to its strengths and provide more technology to make its cars more appealing. The company has the resources to make its future models successful, and it now remains to be seen how its upcoming lineup fares in accordance with present market conditions.